The basic of 2000 calorie diabetic diets is that you must eat no more than a total of 2000 calories of food each day. This diet is beneficial to control your blood sugar levels and also to lose weight at the same time. What is more, this diet will keep safe of future complications such as heart problems. Let me explain further the terms included in a 2000 calorie diabetic diets. First of all, you should know that a calorie is the unit of energy. Usually, we use “calorie” term when talking about food. But, actually it is food which contain the calories or the energy. So, if you decide to buy a can of soda, just look at the back what's written about the nutritional facts. If it's written, 200 food calories, that means it contains exactly 200,000 regular calories. If expressed in kilo calories, it is 200. Or, if you exercise and you look at the fitness chart, you see that if you jog, you are going to burn about 100 kilo calories for every mile you perform. This is really great to keep your blood sugar under control and, at the same time to loose excessive weight. What can calories do for you? As a human being, you need energy to live and survive, to move, pump blood into bloodstream, breathe and for other functions. You take this energy from food you eat. The number of calories you may found in the food you eat, may measure how much potential energy that specific food does have. So, a gram of carb has about four calories the same as a gram of calories does have. Meanwhile, a gram of fats contains nine calories. That's why you need to cut them, especially when you're following 2000 calorie diabetic diets. Each food you eat, is composed of these three main components: carbs, protein and fats. That's why, if you know how many carbs, proteins of fats the food you are eating does contain, you will know how many calories, or how much energy that food is given to your body. It is important to look at the nutritional label on the back of foods you are buying. In this way you will get to know the calories that food contains. 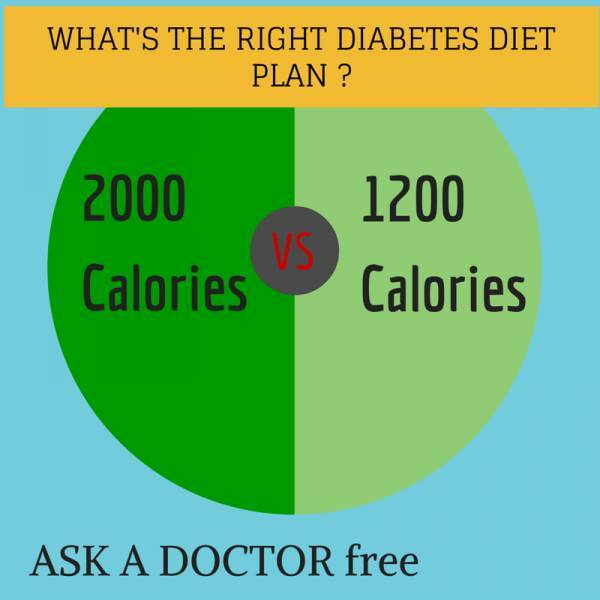 This is very important since you're are following 2000 calorie diabetic diets. So, a maple and brown sugar oatmeal does contain 160 calories. That means, if you will pour this kind of oatmeal into your dish, then place on fire and get it burn completely, a total of 160 kilo calories will be produced. What is more, this kind of oatmeal does contain 2 grams of fats, 32 grams of carbs, and 4 grams of protein, and a total of 162 calories. If you do some simple calculations, you will see that fats give you 18 calories (9 cal x 2 grams); 128 derives from carbs (4 cal x 32 grams); while proteins give you only 16 calories (4 cal x 4 grams). 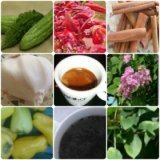 I have explained all the stuff above, not to bother you , but to make you realize how important it is to really understand and select the right foods, with low amount of carbohydrates in order to manage diabetes. And this is the basic not only for 2000 calorie diabetic diets, but also for any diabetic meal plan you decide to follow. Eating right foods and in the right amounts, will keep you safe from any problems. Start your Breakfast with one and half cups bran flake cereal, one cup skimmed milk, half large banana. Or you may choose one soft-boiled egg (do not take more than three eggs per week), one slice whole grain bread with one tsp margarine (fortified in plant stanols). As per morning snack you may choose six saltine crackers or a quarter cup low fat cottage cheese. For your Lunch time, you may choose a chicken pasta salad. You put two ounces cooked chicken breast with one ounce grated low fat cheese. Then add one cup fresh salad greens and one cup chopped fresh veggies, half a cup cooked pasta and two tbsp low fat salad dressing. You may accompany this chicken salad with one small dinner roll, one small orange, and twelve ounces sugar-free soft drink. For Afternoon snack alternatives, you may choose one cup nonfat sugar-free yogurt, or three cups air-popped popcorn. Your Dinner menu could be a little bit different. If you choose chicken for lunch, go for a three ounces baked salmon for dinner. Then you may choose one cup steamed asparagus and carrots, one tsp olive oil, half a cup cocktail of fruits. At least, your Evening snack choices could be a quarter cup of low fat cottage cheese with one slice of toast. If you follow this menu, at the end of the day you’ve been taking only 2000 calories. That’s great for your losing weight and lowering blood sugar goals. I want you to realize that diet alone cannot help you reducing your blood glucose. Proper lifestyle changes can give you a hand also. Be strong and patient and go on with your battle against diabetes. Everything is easy, although it may seem very difficult. There can be other alternatives to diet and lifestyle changes to lower your blood sugar.